Students are encouraged to bring wholesome and nutritious food from home. Nevertheless, we have a café managed by a professional company “Kitchen on Wheels” that serves fresh, nutritious and tasty food that is cooked under vigilant and hygienic conditions. They follow strict nutrition guidelines set down by the school management. All the food and snacks are child-friendly and nominally priced. 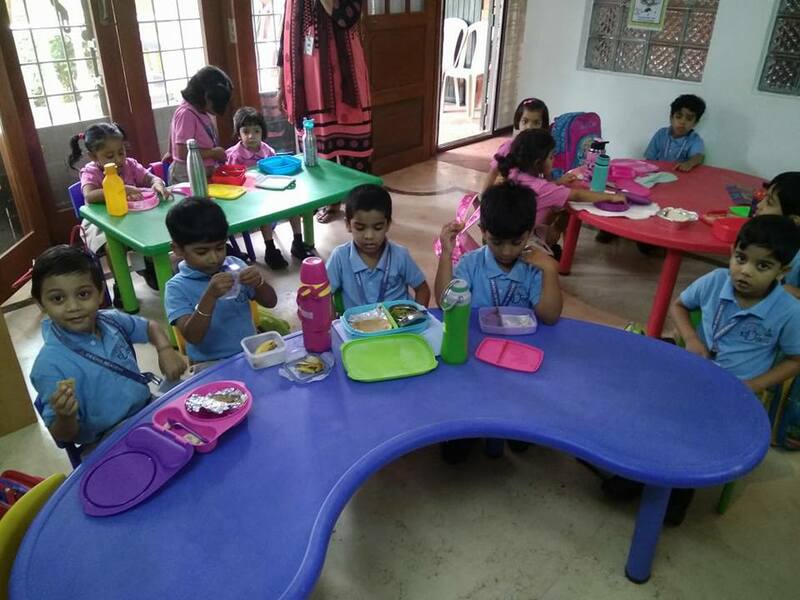 Breakfast/lunch at school will be supervised by teachers to encourage good table etiquette. The menu is mailed to parents every month.